What’s it like working as a Engineering Officer? 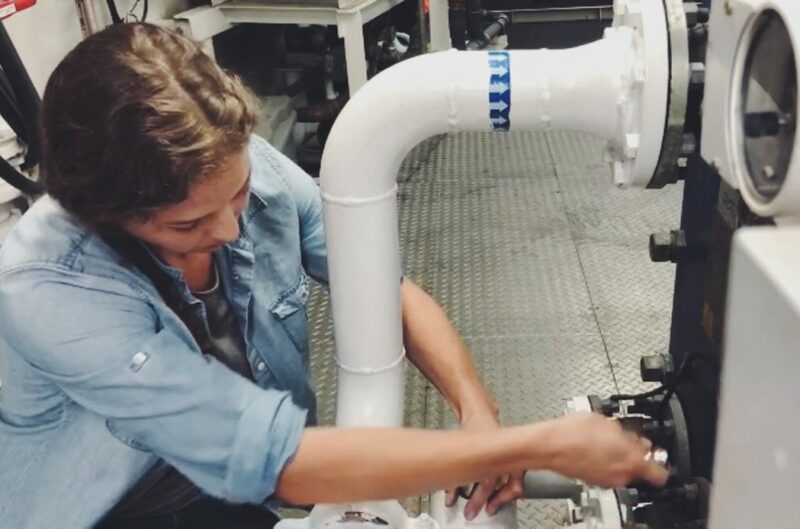 As key crew members within the Engineering Department on-board a ship, Engineering Officers aid the Chief Engineer in maintaining and operating all mechanical and electrical equipment on board. This includes control of the ship’s engines, pumps and fuel systems, cargo handling equipment, lifts, computer-controlled engine management systems, refrigeration and ventilation systems, and sewage treatment and purifiers. Put simply, ships cannot function without the important work of the engineering department. Engineering Officers bring a number of skills to their roles, including problem-solving to diagnose faults in equipment, managing, monitoring, maintaining and adjusting equipment, and dismantling, repairing and reassembling equipment. While most of the working day is spent in the engine control room, Engineering Officers are also required to work in the engine room of the ship which may be noisy, hot and claustrophobic. Shift patterns apply to Engineering Officers, so that 24 hour maintenance coverage is available on-board; working patterns vary according to the type of ship. The work expected of Engineering Officers varies depending on the rank of the officer. For example, a 2nd Engineer Officer might be expected to manage the engine room and the engine room maintenance team, and oversee the training of engineers, while a 3rd Engineer Officer might be responsible for a certain piece of equipment, such as auxiliary generators. Some Engineering Officers specialise in maintaining and repairing navigation, communication and computer systems and are known as systems engineering or electro-technical officers. Engineering Officers are in demand for a range of vessels, from tankers to container-ships, while shore-based opportunities also exist in ship yards, ship management, surveying, the ports sector, the yachting industry and the Royal Navy. Typical employers include shipping companies, cruise companies, port authorities and ship agencies, and the work is, by its very nature, truly international. However with no central recruitment agency, applicants need to approach individual shipping companies and training organisations directly to find a sponsored training opportunity. Starting a career as an Engineering Officer is a technically-challenging role that will put problem-solving skills to good use. The 50,000+ strong merchant trading fleet provides a sizable employment pool for Engineering Officers, and this fleet is expected to grow over the next decade. 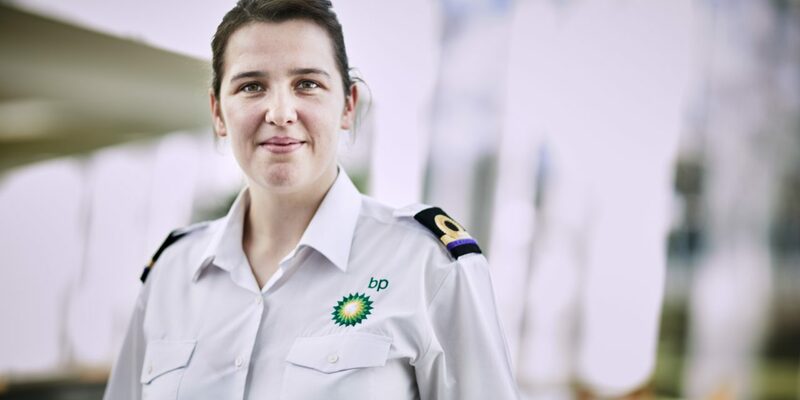 Opportunities for Engineering Officers continue beyond seafaring, as experienced Officers can easily adapt their managerial skills to fit in onshore maritime and non-maritime companies alike. Joanne, what inspired you to work offshore? What has been your favorite experience during your career so far? If working offshore is a long-term career for you, what motivates you to continue to work offshore? What challenges have you faced in your career while working offshore? 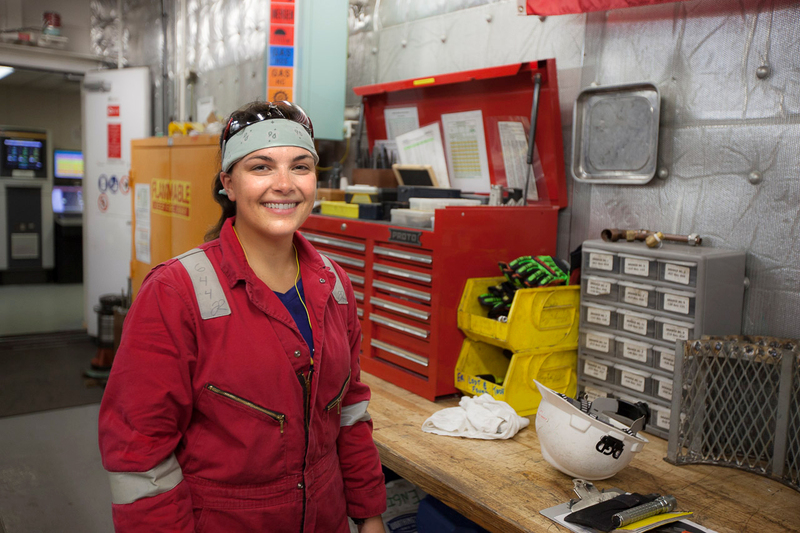 What do you think can be done by your industry to encourage more women to work offshore? What words of advice would you give someone starting out in your industry?